The Arabic root word ( س ل م ) conveys connotation of safety/security/freedom/immunity, to escape, salutation/greeting/peace, deliver/acknowledge, pay in advance, submit, sincerity, humility, submission/conformance/obedience, resign/quit/relinquish, to be in sound condition, well without blemish, gentle/tender/soft/elegant. Solomon/Suleiman. The Word Islam and Muslim both are from root word (س ل م ). ‘Islam’ is used in Quran meaning ‘Peace’. Word ‘Salam’ is used as Peace and as a Greeting. ‘Muslim’ in Quran conveys meanings of ‘Submitter’. When Quran mentions ‘Muslim’ it means, the one who submits to the Judgment and Will of Allah, other wise in language it just means ‘submitter’. And Allah invites towards the circle of the Peace. He guides whom He pleases to a way that is straight..
With it (Quran) Allah guides those who seek His good pleasure to ways of the Peace (and safety), and leads them out of darkness, by His will, into the light,- guides them to a path that is straight. O’ People who believe, Enter into Peace completely; and follow not the footsteps of Satan for he is an open enemy to you. Who does greater wrong than one who invents falsehood against Allah, even as he is being invited to Al-Islam/the Peace? And Allah guides not those who do wrong. This is a really thought provoking Ayat. Allah declares who can be a bigger oppressor than he, who is invited towards the Islam/Peace, but he rejects the Peace and prefers a way of violence and warfare as his judgment by inventing lies on Allah. Verily Allah does not guide these people who have love of violence in their hearts. (https://topicsfromquran.com/2018/06/30/non-physical-fighting-2/). If anyone desire a Deen/judgment other than Al-Islam/the Peace never will be accepted of him and in the hereafter he will be from those who are the losers. In any situation that one encounters in life, he has to choose the option leading to Peace and security. Any judgment leading to violence, corruption and aggression i.e against peace, is not going to be accepted by Allah. When those come to you(The Messenger) who believe in Our Signs, Say. “Salam/Peace be on you. Your Lord has written mercy on His Nafs/self. Such that if any of you did evil in ignorance, and thereafter repented, and amend (his conduct), then verily, He is Oft-forgiving, Most Merciful. (Prophet Essa said) And the Salam/Peace is on me the day I was born , and the day when I die and the day when I shall be raised to life. Be not disheartened (you believers), and invite towards Peace (ISLAM), you are of the higher rank and Allah is with you, and He will never put you in loss for your (good) deeds. The Deen/judgment before Allah is Al-Islam (the Peace) nor did the Ahlal-Kitab/People of the Book differed except to wrong each other, after knowledge had come to them, And if any cover/rejects the Ayas/Signs of Allah, Allah is swift in taking account. The people only differed in mutual enmity, after the Book has been given to them and they acquired knowledge of the Book. The intention for seeking knowledge from the Book should be to get guidance and correct one’s actions, and not to prove each other wrong in matters of knowledge. The word ‘Muslim’ is also from the same root word ( س ل م ). It means ‘submitter’. All those who have been submitting to the Will of Allah and His Words, since day one on Earth, are Muslims/submitters to Allah. Abraham was not a Jew nor a Christian; but he was true in Faith Muslim/submitter, and he was not one of the polytheists. Say : Surely my Lord has guided me to a Straight way a Judgment established. The Millat (Religion) of true Ibraheem (Abraham) and he was not from the polytheists/associators. Say : Surely my salat and my solitude and my life and my death are for Allah, the Lord of the Worlds. That there is no partner for him, I am ordered with it and I am the first of Muslim/Submitter. When the Prophet was guided to the straight path, the Judgment established of the religion of Ibraheem, he did not wait long to submit to this judgment. Messenger and the his followers don’t take long to submit, when they get the Spirit of Allah’s Words, which comes after making their judgment pure for Allah. We took the Bani Israeel/Children of Israeel across the sea: Pharaoh and his group followed them in insolence and spite. At length, when overwhelmed with the flood, he said: “I believe that there is no god except Him Whom the Children of Israel believe in: and I am of those who are Muslims/Submitters. When the Pharaoh said he wanted to be a Muslim/Submitter it was too late, i.e it was time to close his account after spending all his life in opposition to Allah’s Will, and only submitting when he was certain of his doom. Do they seek Deen/judgment other than of Allah’s. And whosoever is in the skies and earth have willingly or unwillingly submitted to Him and to Him shall they return. And you strive in Allah as the right of striving in Him. He has chosen you and He has made no difficulty over you in the Din/Judgment. The religion of your Father Ibraheem. And He has named you muslim/submitters from before and in this, so the messenger be a witness over you and you be a witness over mankind. Then establish Prayer and give zakah and hold fast with Allah. Say we believe in Allah and what is revealed on us and what was revealed on Ibraheem and Ismail and Ishaq and Yaqoob and tribes and what was given to Moosa, Essa and the prophets, is from their Lord. We do not make distinction between anyone from it and for Him we are muslims / submitters. The statement of Muslims is that they don’t differentiate between any of the Messengers of God. Would We make the Muslims/Submitters like the criminals? What is the matter with you? How do you judge? Or for you is a book through which you have taken lesson? In it (the other book), do you find anything you want? Allah is asking will We make the muslims/submitters to the Will of Allah like criminals? Those who order people to do illegal acts and violence in the name of religion and become criminals certainly are not ordering with the Spirit of the Book of God. And when it is recited to them, they say. “We believe therein, for it is the Truth from our Lord. indeed we have been Muslims/submitters to Allah’s Will from before this. And hold fast all together to the rope of Allah and do not be divided among yourselves, and remember the favor of Allah on you when you were enemies and He joined your hearts in love; you became brethren and you were on the brink of the pit of fire and He saved you from it. Likewise Allah make His Ayas/Signs clear to you that you may be guided. By becoming Muslims/submitters to Alalh and leaving behind their sects and sectarian hatred, people become brothers and are saved from the brink of the pit of fire. They take as a favor on you that they have submitted. Say do not take your Islam/Peace as a favor on me. But, Allah has put a favor on you that He has guided you to the belief, if you are truthful. Nobody does any favor by their submission to the Allah’s system. It is Allah who has done a favor on those whom He has guided. Our Lord! Make both of us Muslims/submitters for You and from our off spring Muslims/submitters nation for You. And show both of us our places of solitude and turn to us surely, You are Most Oft Returning Most Merciful. The supplication of Prophets Ibrahim and Ismaeel is to make them and their offsprings, muslims/submitters to Allah. When Prophet Essa A.S (Jesus) realized unbelief on their part he said “who will be my helpers to Allah”. Said the companions (disciples). “we are Allahs helpers. We believe In Allah, and you bear witness that we are Muslims(submitters)“. Alhumdulilah and thank you. Your write-up contains useful information. But we disagree with one specific point here. The terms 'Islam' and 'Salam' are independent, not inter-weaved. That's Muslim Villa's opinion because the Noble Quran does not elucidate any such notion that the term 'Salam' springs from "Islam" is also evident from the Verses you quoted. Islam is submission to Allah's will. Peace, love and kindness no doubt constitute an important part of the ideology of submission. But we cannot literally say Islam means peace, these are two different words. Kindly focus on the original Quran and not on the the words in brackets which translators often insert to represent their varying interpretations. We have already addressed this subject at Don't get confused between the words 'Islam' and 'Salam' because it's been a common oversight for a while. A secondary root of Islam maybe "al-salam" or peace. But the text of the Noble Quran makes the assertion of Allah Almighty abundantly clear that the focus of His Message is submission to Him alone as the believer's way of life and in Arabic that is 'Islam' involving submission to Him at all times, in times of peace, war, ease, or hardship. As also indicated in many Quranic Verses including the ones you quoted, peace is an essential quality of a submitter. But "Islam" and "Salam" are independent terms with separate connotations and 'Islam' for sure takes precedence. There are many folks who are not Monotheists or they maybe atheists or agnostics yet they too may practice peace or offer peace. But that does not make them Muslims ... that does not make them followers of Islam .... because they are not submitters to Allah alone. The idea of linking 'Islam' and 'salam' arises because of two reasons. One reason has already been stated in Sister Zeynab's post (link posted above) when our Muslim clerics try to gratify participants of interfaith dialogues which have become a trend in the West since the past decade or so. Secondly, the terms "Islam" and "Salam" have a similar rhythm bringing along an inaccurate notion that both are intertwined having the same root. Islam is not about pacifism which I already clarified previously in my response to your post Do' and Donts in the Quran. Linking Islam with pacifism is not MV's concept lest our readers misunderstand us. I would reiterate, 'Salam' is the greeting of peace incumbent upon the follower of 'Islam' (submitter). Actually the inclination to link 'salam' with 'Islam' got started by Muslim clerics living in the West soon after 9/11 when western rightists and hardliners were constantly putting Islam on trial by trying to subjugate Muslim spiritualists by persistently coercing them to announce that "Islam is a religion of peace." That was a tactical approach from those rightists. They did not harbor honest intentions. Their idea was to reshape Islam by limiting it and putting it in a comprehensive mold as an exclusively dovish ideology and nothing beyond that. The truth is, indeed Islam is a religion of peace, and much more. Islam is a religion of life, in that, we cannot separate Islam from our lives. Islam deals with every facet of our lives in which peace is a priority but it isn't automatically predominant. That depends on the situation. س ل م is an Arabic root made up of a set of three consonants from which originates several different words within the Arabic vocabulary. Islam and salam are two such words having a common root but different definitions. Words derived from the s-l-m root are found in quite a few Quranic Verses. 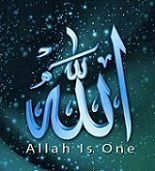 The word 'Muslim' ( مُسلِم‎) is a derivation of Islam, both having the س ل م root. While اسلام means submission to Allah alone, مسلم means a submitter or a person who submits to Allah. Other variations: The word aslam (اسلم ) which means safe, free or healthy, also has the same root slm, but a different meaning. Then again the word salama ( سلامة) has the same root too that refers to flawlessness, peace or safety can be viewed as somewhat connected with salam. The word salam specifically means well-being/peace so Allah Almighty commands submitters to use it as a greeting. Thus, Islam or Submission is an indispensable prerequisite of the Monotheistic Faith (Tawheed) and salam or peace is one of the many virtues of a submitter. You got the point Sister. That's exactly it. Thanks a lot for the value able replies on this topic. Good to know that we share a view point that obtaining Peace is one of the many virtues of a submitter to Allah. This is also evident from the below Ayat which mentions the word 'Silm' which means peace and security. O’ People who believe, Enter into peace and security completely; and follow not the footsteps of Satan for he is an open enemy to you. Allah's Will for the believers is to immerse themselves fully in Peace and security and submitting to Allah's Will, will therefore lead believers to Peace invariably. Salaam and you're welcome brother. However I do need to put a couple of comments here. First off, I don't know which translation you're using, it's not an accurate one at all. So please be careful. These are the Words of Allah The Almighty, not any human being. Let me quote V.2:208 in Arabic and then it's literal translation. "You who believe, enter wholeheartedly into submission to God and do not follow in Satan’s footsteps, for he is your sworn enemy." 2:208. To conclude, I would simply reiterate that peace in the ideology of submission to Allah is no doubt a priority but it doesn't come unconditionally (as also elucidated in many other Verses of the Noble Quran) for that may involve the possibility of overriding justice. Thus, it depends on the situation. I will say no more on this issue as my colleagues have already explained the matter at length in this thread and in an earlier one. Kindly do not put Islam at par with absolute pacifism at MV. That's not our perception because the Noble Quran does not give us any reasons for such presumption/generalization, and we do not want our readers to misunderstand us. In V.2:208 Allah Almighty is calling everyone into the fold of Islam to submit to Him fully and completely without any hesitation or doubts, without being influenced by one's culture or personal thoughts that may clash with the principles of submission. We must surrender (submit) to Allah in every aspect of our life. In other words, we must not be selective in submission by obeying only those Commandments that suit our purpose and ignoring what we personally don't find convenient. Submission must be entirely and completely; that can be described as perfect submission. Alhumdulilah. All praise be to Allah alone. A lot of Muslims get carried away by the Christian myth (or let's just call it the Christian hadith) on "turning the other cheek." The phony 'hadith' claims that if someone slaps you on one cheek, don't speak, don't cry foul, just stay silent and turn the other cheek for a second slap. The goal of this weird myth is to surreptitiously promote bullying and oppression of the weak by the strong and it's falsely attributed to Essa son of Virgin Maryam just as all the versions of altered gospels are filled with false quotes. Needless to say, Essa son of Virgin Maryam (peace on them both) was a Prophet sent by Allah Almighty and he was a very wise and intelligent person. Would anyone with a shred of common sense believe for a minute that he could say something as unjust and senseless as that? No surprise, as we can see in today's world, those who peddle the rhetoric of turning the other cheek are the ones who never practice it themselves. Another source of this impractical ideology of pacifism comes from the pre-planned collaboration of Western politics and Buddhist hypocrisy, both of which have been close allies for promoting falsehood & mischief for political gain. Buddhism which is the most violent religion in the world and has recently committed unspeakable genocide against minority Rohingya Muslims in Burma is touted by western & buddhist hypocrites as "religion of peace." What a sick joke !! Yes right. Furthermore that's an apt example about the genocide against the poor Rohingyas. Just imagine, approximately 2 million killed by buddhist military, monks and mobs, over 1 million have become refugees and at least half million suffering in concentration camps within Burma. Their entire province with all its villages and towns has been ethnically cleansed. The reason? Only because they are Muslims. Yet, to keep up the myth of peace, the ignorant ones around the world still put the label of 'peace' on buddhism and do not want the victimized Rohingyas to ask for justice. Thanks a lot for your comments for this important topic. I totally agree on the point that Quran is the Word of God therefore we have to be very careful paying close attention to words used in Quran. The topic of obtaining peace in the World is very relevant, therefore it is imperative that we devote some time to analyze of the verses especially those which are interpreted by War-mongers such as ISIS, in justifying their violent activities. First, briefly something about the root word system in the Arabic language. Most of the words in Arabic are formed from trilateral root words. The words formed from the same root have some commonality and connections among them. Two words from the same root however, will not convey exactly the same meaning; there would be some slight difference, otherwise, formation of two words conveying exactly the same meaning from the same root word would be redundance. And thanks for presenting few translations of the Ayat 2:208. If we analyze these translations we see that they, have equated the word As-Silm (السِّلْمِ ) with Al-Islam. We know that as both these words are from the same root word therefore, they will not have the exact same meaning. So when we check the meaning of As-Silm in dictionaries, we find that it conveys the meaning of 'Peace and security'. In Arabic we would say "al-islamu assilmu or al-islamussilmu which means Islam is Silm which means Islam is obtaining Peace. People who are pro-Islam often say it means "peace". Many who are anti-Islam especially for political reasons - they mostly opt for using the word "submission", in a negative sense. The word Qital is used as 'fight' in Al-Kitab, the fight can be physical or psychological. The word 'Jihad' means 'to struggle'. An interesting thing to note is that word 'Sword' is not mentioned even once in Al-Kitab. Of the people there are some who say. "We believe in Allah and the Last Day;" but they are not (really) with the believers. They deceive Allah and those who believe, but they only deceive themselves, and realize (it) not! In their hearts is a disease; and Allah has increased their disease. And grievous is the penalty they (incur), because they are false (to themselves). When it is said to them. "Do not make mischief/violence on the earth," they say. "Why, we are the reformers!" Of a surety, they are the ones who make mischief/violence, but they realize (it) not. In the above Ayas, Allah exposes those who are actually the violence mongers on Earth. These are those who say that we believe in Allah and the Hereafter, however, they do not themselves know that they are deceiving themselves. The love of violence in their hearts is termed as a disease and Ayas of Allah, increase their disease. When they are told, not to do violence on Earth, they say that we are doing it for a noble cause. Have you not seen those who assume with pride that they believe in what has been sent down on you and to that before you? Their intention is to resort for judgment to the Taghut (Rebellious/Violent one), though they were ordered to reject him. But Satan's intention is to lead them astray far away (from the right). The above Ayat states that there are people who assume that they are a believer of what has been revealed on the Messenger, however, they still want their judge to be the Taghoot/violent one, and indeed they are ordered in this Revelation to reject the Taghut/violent one. The word Taghut is from 'Tughian' and in it roots, implies crossing limits, rebellion and violent unjust harshness. So, these people think that they believe in the Messenger and what has been revealed on the Messenger, but actually they end up following the judgment of the violent, rebellious, Taghut. Those who have been expelled from their circles unjustly,- because of their statement that, "Our Lord is Allah". If it were not that Allah defended one set of people with another, there would surely have been destroyed silos, businesses, prayers, and mosques, in which Allah's name is remembered in abundance. Allah will certainly aid those who aids in His (cause);- for verily Allah is full of Strength, Exalted in Might, (able to enforce His Will). Those people who make Allah their Lord (they do not take instructions and orders other than from Allah), they are hated by people bent on violence and war-mongering activities, and they are ousted out of their circles of faith by the disbelievers. The disbelievers label them as an ousted caste. Had Allah not defended the people of the world from these war mongers, violent people, there would have been great destruction in the world. The violent war mongers terrorists would not even leave people going to prayers and mosques, they try to bomb them also. And for them you prepare to what you have the capability from strength and the bindings of the horses, (i.e. to check your impulsiveness and to remain calm) so that you terrorize with it to the enemies of Allah and your enemies and others besides them. You do not know them Allah knows them, and whatsoever you spend from anything in the way of Allah, you will be repaid in full and you will not be oppressed. Enemies of the believers are the terrorists, the violent war-mongers. So, Allah's order is to terrorize your enemies with great preparations (deep pondering in Quran, remember Jihad e Akbar is with Quran 25:52). Terrorize them with all your restraint akin to controlling a violent horse with reins i.e to display dignity, calm and steadfastness. Terrorist, whose wrong interpretation of Allah's Book increase them in violent activities (5:64), will be terrorized of you, if all their violent interpretations of Quran are responded with true Quranic spirit of peace. It may not be (possible) that all believers go forth together (in faith). if a contingent from every group devote themselves to studies in Din/Judgment, and admonish the people when they return to them,- thus they (may learn) to guard themselves (against evil). O ye who believe! fight the unbelievers who gird you about, and let them find firmness in you. and know that Allah is with those who fear Him. Whenever there comes down a Sura, some of them say. "Which of you has had his faith increased by it?" , those who believe,- their faith is increased and they do rejoice. But those in whose hearts is a disease,- it will add un-cleanliness to their un-cleanliness, and they will die in a state of rejection. The above Ayas towards the end of Sura Tuaba (9), indicate that striking out in the way of Allah, is about devoting to studies in matters of Din/Judgment. Those people who have disease in their hearts were exposed earlier in Quran in Aya's 2:8-12, that when they are asked not to make fasad/mischief on Earth they say we are only doing corrections, and they themselves don't know that they are the problematic ones. So these people interpret the above Ayas as Allah asking them to wage war on earth and the disease and uncleanliness in their hearts keep on increasing. As Allah's intention of Peace are revealed and clarified to believers in Quran, their faith increases, but the people bent on violence, their disbelief increases in the opposite direction. Then fight in Allah's cause - There is no hardship in it for you except for your souls (nafs) - and rouse the believers. It may be that Allah will restrain the strength of the Unbelievers; for Allah is the severest in strength and severest in punishment. Consider an example conversation; 'you are able to jog about 10KM, however, as you are starting now, your stamina is not up-to the mark at this time, therefore in the start you will be able to cover up-to 2 KM and if you keep on practicing you can achieve your capacity of 10KM.' As the believer's faith increases and the Sprit of Al-Quran increase their understanding of the message of Quran, they will be able to take more and more of the unbeliever's interpretation of Quran in their ideological fight against them. Certainly you shall be tested in your wealth and in your selves (psyche); and you shall certainly hear from those who were given the Book before you and from those who joined partners (with Allah) a lot of annoying things. And if you persevere patiently, and take guard against evil,-then surely that is of the strengthened resolve. The people who join others (instructions of others) with Allah and his instructions, they will be always be taunting believers for their judgment. The believers are told to be patient and take guard. Surely the reward of those who wage war against Allah and His Messenger and they move around in the earth to cause corruption/violence, is that they will be killed, or they will be crucified, or their hands and feet will be cut off from the opposite sides or they will be exiled from the land. For them, is disgrace in this world and in the hereafter is a great punishment. Except those who repent before you gaining control over them, then you should know that surely Allah is all forgiving, all merciful. Those people who have a declaration of war with Allah and the Messenger and who are doing physical fighting, warmongering and corruption in the world, will automatically meet one of the described fates mentioned in the above Ayat as a result of their violent activities. Except for those on which the believers were able to control by showing their wrong ways and then they doing repentance. This is not a punishment that believers are asked by Allah to inflict on them. Also, please note there is only one declaration of war/harab by Allah and the messengers in Quran, and that is only on those believers who don't cease to eat Riba/the increase and the satan has influenced them as such as they look ludicrous in their appearance (see note 1). Believers who are peaceful people, pray that Allah reveals the true meaning of (ideological) fighting in Al-Kitab. When real meaning of Qital/Fighting (ideological fight) is clarified from Sooras/chapters of Quran, the people in whose hearts is a disease (see 2:8-12 for the people whose hearts have disease, are the people who like to wage violence/war in earth and they don't realize that they are themselves the violence makers). These people don't like this clarification of Qital verses, which is against their sentiments of war mongering and their faces show death like features, which is in-fact more apt for them as they love violence and to die for it. And recite over them the news in truth of the two sons of Adam. When they both gave sacrifice to be close (to Allah) then it was accepted from one of them and was not accepted from the other. "He said I will definitely kill you." "He said surely Allah accepts (the sacrifice)from those who guard." "If you will stretch out your hand towards me to kill me, I will not stretch out my hand towards you to kill you. Surely I fear Allah the Lord of the Worlds." "Surely I intend that you reside with my sin (in killing me ) and with your sin. So you will be from the companion of fire. And that is the reward of the oppressors." What is the lesson we get from the above Ayas? When some one attacks you physically you are not to strike back, why? because Allah is there to recompense fully the evil doers? (See related post of Qasas : https://topicsfromquran.com/2017/06/04/qasas/)A grave evil act like murder will stay in the psyche of the perpetrator and will haunt him and eventually destroy his psychology. A person doing bad acts can not live peacefully like a person with clean conscience who does not have to fear everyday getting recompensed for his evil actions. If there is a choice, it is always better to leave the scene where some one attacks you to cause bodily harm. This is the covenant Allah took with Bani Israeel, that they will not shed their blood. So the fighting/Qital which is ordained in Quran is an ideological fight i.e a fight in which you are not allowed to shed your blood. From the above two sets of Ayas we come to know that with regards to Qital/fighting, if we fear Allah, we cannot not extend our hand towards the one who extends his hand towards us for causing harm. And Allah had taken a covenant from before that we are not to shed our blood. Also in 2:195 Allah orders (لَا تُلْقُوا بِأَيْدِيكُمْ إِلَى التَّهْلُكَةِ) i.e not to put your self to destruction with your own hands. Keeping in view these conditions, now we can see, how and with whom to do Qital/fighting in the way of Allah. Fight those who believe not in Allah nor the Last Day, nor hold that forbidden which has been made forbidden by Allah and His Messenger, nor they decide by the judegment of Truth, from the People who has been given the Book, until they pay tribute with their hands while being belittled. Allah's order to engage in ideological fight, is with those who don't make it forbidden on them, what has been made forbidden by Allah. We will shortly see what is made forbidden by Allah in below Ayas. This ideological fight is to be done with the People of the Book (not labeled Jews and Christians) but with those who have the Book (Al-Quran) however who do not really believe in Allah and accountability and do not act on its injunctions of haram/forbidden acts. Say. "Come, I will rehearse what Allah has prohibited on you " Do not join anything in partnership with Him; Do good deeds to your parents; Do not kill your children for fear of poverty;- We provide sustenance for you and for them;- do not come near shameful acts whether openly or secretly; and do not kill a nafs/life, which Allah has made forbidden, except with Haq/truth, thus He enjoins you, so that you may use your intellect. Say. my Lord has indeed forbidden shameful acts, whether open or secret; sins and unjust trespassing; and that you associate partners with Allah, for whom He has sent down no authority; and that you say things about Allah that you do not know. The above Ayat states what is made forbidden by Allah. The ideological fight ordained as per 9:29, is with those people who associate with Allah, do obscenity, say things about Allah which are not verified by Quran, and kill what is made forbidden by Allah. And remember, ideological fight is a non physical fight in which extending your hand and shedding blood is not allowed. If some one, rejects this peaceful message of Allah and do physical fighting then Allah says that no body can be a bigger oppressor than him, as he will then be tarnishing the image of peaceful Islam. That Home/circle of the Hereafter We shall give to those who intend no high-handedness nor mischief on earth. and the end is (best) for the righteous. Those people who fight with the believers in their judgment/Din of Peace as mentioned above and caste them out of the circles of faith and instigate others to caste them out too, believers are prevented to make these people their patrons/guardians. Those people who don't cast the believers out of their circles of faith (does not label them as infidels if their beliefs differ), Allah does not prevent believers to do good to them. Allah does not prevent you with regards to those who do not fight with you and do not drive you out of your circles, from dealing kindly and justly with them, for Allah loves those who are just. Verily, Allah prevents you, with regard to those who fight with you in Din/judgment, and drive you out of your circles, and support (others) in driving you out, from turning to them for patronage. If any turns to them for patronage, then those are the unjust ones. The below two Ayas are interesting they mention Harab/War. When you meet the people who reject/cover, strike at the necks; until when you have thoroughly subdued them, bind a bond firmly (on them). thereafter either generosity or ransom. Until the war lays down its burdens. Thus (are you commanded). but if it had been Allah's Will, He could certainly have exacted retribution from them (Himself); but (He wants to) test you, some with others. But those who are slain in the Way of Allah,- He will never let their deeds be lost. Soon will He guide them and improve their condition, And admit them to the Gardens which He has made known to them. For the people who are slain the way of the Lord, Allah informs that He will soon guide them and improve their condition, which would mean that its not physical death or fight that was being mentioned here. What is the matter with you? How do you judge? Or for you is a book through which you have taken lesson? In it (the other book), do you find anything you want? Or, have you received solemn assurances from us that grant you whatever you wish till the Day of Resurrection? Ask you of them, which of them is the guarantor of that! Or have they some "Partners" (in Allah)? Then let them come with their "partners", if they are truthful! These partners (in Allah) give orders of violence and mischief on earth and cloak these orders under the guise of Shariat and Jihad. The partners are those who make Shariat i.e write shriat/Fiqh books. Do they have partners, who have established for them ways in religion (Shariat) without the permission of Allah? Had it not been for the Decree of Judgment, the matter would have been decided between them (at once). But verily the Wrong-doers will have a grievous Penalty. Brother ajzhyder. As-Salam Alaikum. We have made our perspective on this subject ample clear. There's no point in persistently repeating the same issue over and over again, complicating it unnecessarily and wasting our time, while you continue presenting plainly incorrect Quranic translations and spinning around definitions for adhering to your personal concept. We believe in reading and understanding the Quran with a thoroughly unmotivated approach. Quran is a standalone Book which needs to be understood independently, that is, the focus must be on the self-supporting assertions of Allah Almighty, not on the fixation of our whims. You seem to be totally obsessed on promoting the Quran as a pacifistic philosophy. We cannot allow you to promote something that's for sure NOT warranted by the Quran. Here at MV it's all about the Truth of the Noble Quran and it becomes significantly unacceptable if someone blatantly misconstrues the very definition of Islam replacing submission with peace and in the process downplaying the indispensable prerequisite of Monotheism. I think it's better if you leave our forum and stick to your own website. My colleague, Sister Zeynab, has also read your response and she will be responding to you more analytically in a little while as I am short of time and will be out of station for the next few of days. Salaam and peace brother. I will respond to a few of your points in your last post of this thread that are quite baffling concerning their imprecision and erroneous estimation. Also, some of your contents are not connected with the topic of submission and peace so I won't discuss them. I will only highlight your direct over-emphasis on "peace" because of its incorrect connection with the term "Islam". In Arabic we would say "al-islamu assilmu or al-islamussilmu which means Islam is Silm which means Islam is obtaining Peace. In all honesty, that's not correct. It's another one of your wishful designs which is NOT supported by the Noble Quran, something we have already clarified umpteen times with solid references from the Quran as well as the Arabic root-word-principle that Islam is submission and salam (the believers' social greeting) is peace. These are two independent terms that do not interlap regardless of a single root which often has its own set of vocabulary consisting of several words with differing definitions. People who are pro-Islam often say it means "peace". Many who are anti-Islam especially for political reasons - they mostly opt for using the word "submission", in a negative sense. Excuse me, but I view that as a twist which isn't insightful. You could have been more direct. If your allusion is that MV peddles what you perceive as "anti-Islam" based on "political reasons," you couldn't be farther from the truth. Rather, the Noble Quran does not separate religion from practical life which makes the Quran a complete code of conduct. The examples my colleagues cited on oppression of Muslims were assessed in accordance with Quranic ethics, NOT political indoctrination. Throughout the annals of history, the helpless have been exploited by the strong & powerful. That continues until the present, in which the guilty include non-Muslims as well as the so-called Muslims or takfiris (traitors, deviants / hypocrites). It's the entitlement as well as a moral duty of every sincere believer who cares for humanity to at least raise their voices against such injustices. "Silence in the face of injustice is complicity with the oppressor." This was spoken by the late Italian human rights campaigner, Ginetta Sagon. Allah Almighty has confirmed that His Final Message is the Sole Criterion (Al-Furqan, refer V.25:1). Thus, there's no point in reading the Quran by cutting yourself out of the world. Our worship of Allah and following the ideology He commanded is not just a prayer-time necessity; it requires adherence throughout our lives. Allah expects us to follow His rules, to think, reflect and speak accordingly even after we finish our prayer and step out of our prayer mat. "When you have performed the act of worship, remember Allah, standing, sitting and reclining. And when you are in safety, observe proper worship. Worship at fixed times has been enjoined on the believers." (4:103). "Such as remember Allah, standing, sitting, and reclining, and consider the creation of the heavens and the earth, (and say): Our Rab! You created not this in vain. Glory be to YOU! Preserve us from the doom of Fire." (3:191). An interesting thing to note is that word 'Sword' is not mentioned even once in Al-Kitab. No one ever talked of the "sword" in connection with the Quran. I don't know how or why you concocted such a notion. Needless to say, submission to Allah does NOT mean picking up a sword. Islam is NOT the ideology of the sword. Since we believe that Islam alludes to submission and not peace, so you conclude that it's linked to the "sword." Despite your astute maneuvers, it looks like your rejection of Islam as submission is driving you into hasty 'black & white' judgments that are astonishing, if not outright ignorant. We have stated many times that peace is a priority in Islam but it's not an unquestioning or mandatory requirement for all conflicts in all spheres of life because every scenario has a different inside story. Justice is as important as peace, and application of peace must not override justice. In regard to Quranic emphasis on justice, take a look at the following Verses which you have conveniently dismissed until now. Verses: An-Nisa V.135, Al-Araf V.29, Al-Araf V.181, Al-Maidah V.8, Al-Maidah V.42, Yunus V.47, Al-Hadid V.25, and many more. "Their intention is to resort for judgment to the Taghut (Rebellious/Violent one), though they were ordered to reject him. But Satan's intention is to lead them astray far away (from the right)." 4:60. "rebellious / violent one" in brackets as stated in your translation is not from the Quran but the translator's chosen standpoint. Kindly read the entire Verse carefully. Taghut here refers to false deities or false judges. It alludes to the source or authority that decides on the basis of non-Divine Laws or a judicial system that does not acknowledge Allah Almighty as the Final Authority and The Most Supreme. The reference in this Verse is to those who outwardly profess belief (primarily the hypocrites apparently) in the Final Message, yet they seek to resolve matters via non-Divine sources, and thus they reject the Noble Quran as Al-Furqan; that's their transgression on crossing limits. It does not refer to physical violence. Some interpretations of 'taghut' may include the concept of tyranny which refers to moral decadence and may entail despotism. Hence, one can gauge how flawed your explication is. Such unsupportive and constricted renderings can be profoundly misguiding for learners. This is what happens when one reads the Quran with a preconditioned mind focused on their own choices rather than the principles of Allah, without concentrating on the preceding or following Verses of every Ayat they attempt to elucidate. If you had concentrated on Verses 4:59 and then on 4:61, perhaps you would have assessed more carefully. Verse 4:59 says: "O you who believe! Obey Allah, and obey the messenger and those of you who are in authority; and if you have a dispute concerning any matter, refer it to Allah and the messenger if you are (in truth) believers in Allah and the Last Day. That is better and more seemly in the end." Verse 4:61 says: "And when it is said unto them: Come unto that which Allah has revealed and unto the messenger, you see the hypocrites turn from you with aversion." The clarification is very simple, that is, an allusion to people seeking judicial advise from sources other than the Noble Quran. The above commentary referring to V. 2:8-12. The "disease" ('marazun' V.2:10 [derivative of marz]) refers to the sickness of disbelief and hypocrisy. They claimed to be reformers ('muṣ'liḥuna' V.2:11) but were actually corrupters ('muf'siduna' V.2:12). Again, muf'siduna (or working corruption) does not exclusively imply bodily or tangible force; it denotes double-dealing, underhandedness, subterfuge, secret and illicit conspiracy that's detrimental to some other cause. Differently put, "mufsiduna" can be explained as mischief-mongering and the expression is all-inclusive and general in which its negative connotation varies depending on the situation or circumstances. "Fight in the way of Allah those who fight you but do not transgress. Indeed. Allah does not like transgressors." (2:190). "You may kill those who wage war against you, and you may evict them whence they evicted you. Oppression is worse than murder. Do not fight them at the Sacred Masjid, unless they attack you therein. If they attack you, you may kill them. This is the just retribution for those disbelievers." (2:191). "If they refrain, then ALLAH is Forgiving and Merciful." (2:192). "You may also fight them to eliminate oppression, and to worship ALLAH freely. If they refrain, you shall not aggress; aggression is permitted only against the aggressors." (2:193). And ... this is exactly what we signify when we mention peace as the first priority but not a compulsory precondition, in case your opponents persist on violence and harm. "Enemies of the believers are the terrorists, the violent war-mongers. So, Allah's order is to terrorize your enemies with great preparations "
I will stop here with my quotations & responses because the rest of the Verses you quoted deal with other aspects of life. I am only discussing the issue you initially raised, insinuating peace having precedence over submission to Allah and linking Islam with salam. In a nutshell, the Noble Quran is very, very clear about the definition of "Islam" which is undoubtedly submission. "Salam" is a social greeting of peace incumbent upon believers. I suggest you keep to your own site as we cannot trust the suitability of all your posts in conformity with Quranic norms and assertions. As we have observed, you definitely indulge in tampering of Quranic translations to advocate your selected hypothesis. Your Quranic view appears to have a foundational difference with ours on the basic perception of the term 'Islam' to begin with, which is very significant and cannot be ignored as many other Quranic principles are intertwined with the Quranic assertion of submission (Islam). Each time such folks put up a post, we are left on the tenterhooks until we have checked the entire piece, as we have no idea what subtle twists their interpretations may take to repudiate a confirmed Quranic stance that may misrepresent MV and confuse the guest readers. It also gets too time consuming for us as our job isn't editing & moderating the works of others. I'm simply being honest. We are not supposed to hamper with Quranic contents for the purpose of making them compatible with our concepts we personally fancy. Rather, we need to seek compatibility of our own concepts with the Quran in order to stay within Al-Furqan. I thank you and Allah bless. As-Salaam Alaikum. This brother is pretty confused; he apparently isn't quite sure of the boundaries of the topic he raised and that's the reason he is going off-topic as he proceeds with his response. However, I would like to pick two of his misinterpreted off-topic points and explain them because these are important Quranic contents and their misinterpretations must not be left unanswered. This commentary is completely wrong. Verse 47:20 continues on to 47:21. But the brother posted only V.47:20 and hid Verse 47:21 to deceive readers and justify his misreading. Secondly, his commentary makes no sense, turning facts upside down, and no compatibility between the original Verses and his commentary. "Those who believe say, "Why has a surah not been sent down? But when a precise surah is revealed and fighting is mentioned therein, you see those in whose hearts is hypocrisy looking at you with a look of one overcome by death. And more appropriate for them [would have been] 47:20. Obedience and good words. And when the matter [of fighting] was determined, if they had been true to Allah , it would have been better for them." 47:21. "Those who believe ..." refers to the big talkers who aren't true to their word, whose promises are showboats but fail when put to the test. These are the hypocrites. So when Allah commands fighting through His Revelations, then those cowardly hypocrites turn nervous and back off. This is up to Verse 47:20. Then in Verse 47:21 Allah says it would have been more appropriate and much better for them if they had obeyed His Commandment in the matter of fighting and thus proven their loyalty to Him. No, no. That's not the lesson at all. You can strike back, but you shouldn't take the initiative. Self defense is fully approved by Allah Almighty. Let's analyse it with care. "But recite unto them with truth the tale of the two sons of Adam, how they offered each a sacrifice, and it was accepted from the one of them and it was not accepted from the other. (The one) said: I will surely kill you. (The other) answered: Allah accepts only from those who ward off (evil). Even if you stretch out your hand against me to kill me, I shall not stretch out my hand against you to kill you, indeed! I fear Allah, the Rab of the Worlds. Indeed! I would rather you should bear the punishment of the sin against me and your own sin and become one of the owners of the fire. That is the reward of evil-doers." (5:27-29). Verses 5:27-29 are not about a person killing his victim while the victim willingly offers his life at the mercy of the aggressor as a show of "peace." This Verse is a condemnation of the act to initiate aggression. Hence the victim tells his aggressor that he won't stretch out his hand to kill him because he doesn't want to be the first to attack. Allah knows best the details, but perhaps the victim may not have had the means to defend himself and so he was killed by his aggressive brother. Righteousness does not demand that if someone is subjected to aggression, they must surrender to the aggressor instead of defending themselves. But righteousness does demand that a man should not take the initiative to carry out aggression even if they know the aggressors are scheming to attack them. They should be ready to repel the attack, but not begin hostilities so that the responsibility of pre-emptive aggression is squarely on the one who was scheming. This is the lesson conveyed by Verses 5:27-29. The Noble Quran allows retaliation but also greatly appreciates perseverance. "If you punish, then punish with the like of that wherewith you were afflicted. But if you endure patiently, verily it is better for the patient." (16:126). Thus, if you retaliate, you are not doing anything wrong and your conduct is within the bounds of right conduct. If you bear patiently, perhaps the reward from Allah in the Hereafter will be still greater as endurance on the face of injustice requires immense humility, sabr and courage. But retaliation is completely permissible.